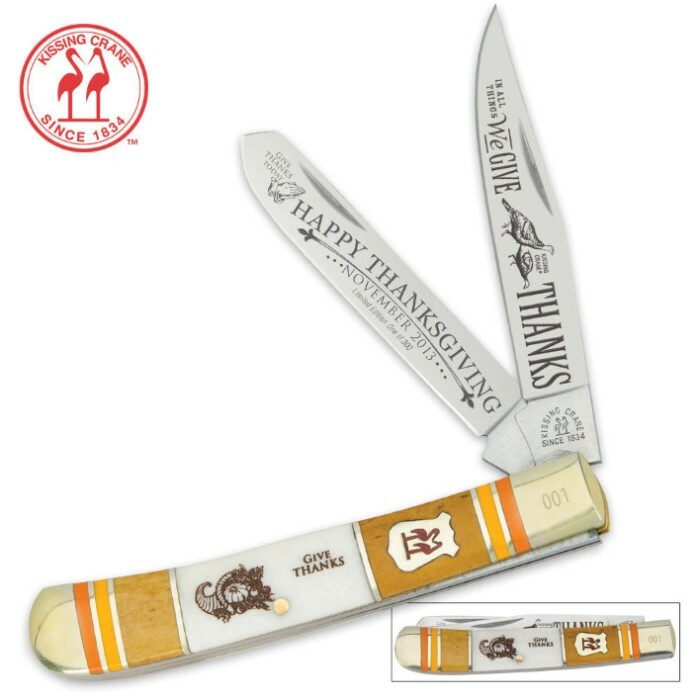 Kissing Crane Limited Edition 2013 Thanksgiving Trapper | BUDK.com - Knives & Swords At The Lowest Prices! Kissing Crane is proud to release its annual Thanksgiving knife collection. Excellent knife, quality is excellent, etchings, handles all excellent.Beautiful knife for every day or to place in your collection. Shipping a little slow. But overall a quality knife for the money.